Asha’s journey into environmentalism began with a school project on climate change in grade five. After this experience, Asha knew she would continue to strive for environmental change in her local community. Growing up in an environmentally-aware family inspired Asha to continue her environmental efforts. She started her own GoGreen club in grade six, which raised awareness to students on a variety of environmental issues, such as climate change and sustainable agriculture. Asha continues to create grassroots movements – with grass. Her BrownGrassRevolution engages community members to reduce their water consumption in the summer months. She is currently working on a film that discusses the decline of bee populations, and is planning initiatives to encourage bee-friendly gardening. Asha has inspired many with her ability to persevere and create local movements. In many ways, Asha proves that environmental change is possible with perseverance at the individual level. As she explains, we are “not alone in [our] efforts” for environmental solutions. When youth such as Asha raise their voices, significant change takes shape. Environmental movements become stronger when supported by the unique perspectives of young people. Asha displays how whatever our age or gender, we have the power as individuals to create tangible change. The voices of youth are unparalleled. Young people like Asha are instrumental in creating broad environmental awareness. Asha started her own GoGreen club at her school to raise awareness on environmental issues. She started a blog ‘Asha for the World’ which has led to her writing blog articles for Huffington Post. Asha won the 2016 EduTOX video challenge, which led her to attend the World’s Largest Sandbox event in Ottawa where she met with MPs and environmental organizations. 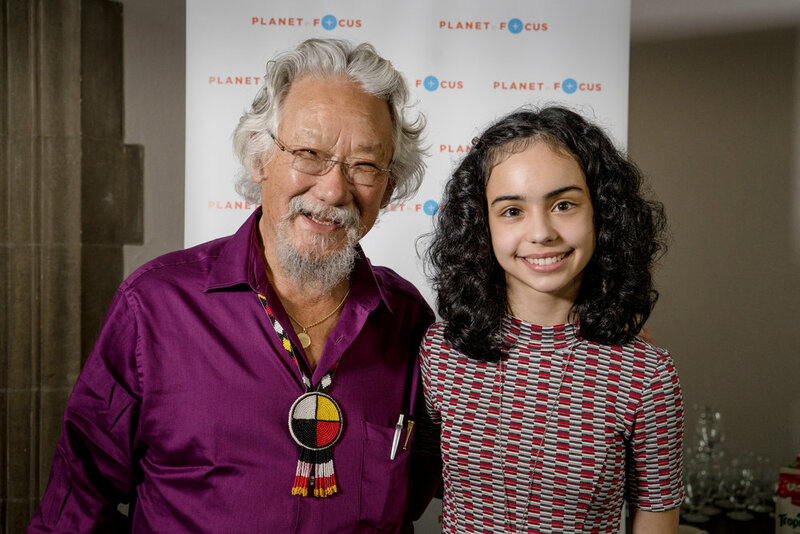 Chosen as one of top 10 environmentalists under 25, Asha participated in a roundtable discussion with David Suzuki as part of the Planet In Focus environmental film festival. Pollution Probe would like to warmly congratulate Asha on this impressive achievement. Through her participation in the EduTOX Video Challenge, her blog and social media activity, Asha is using her voice to advance positive, environmental change.